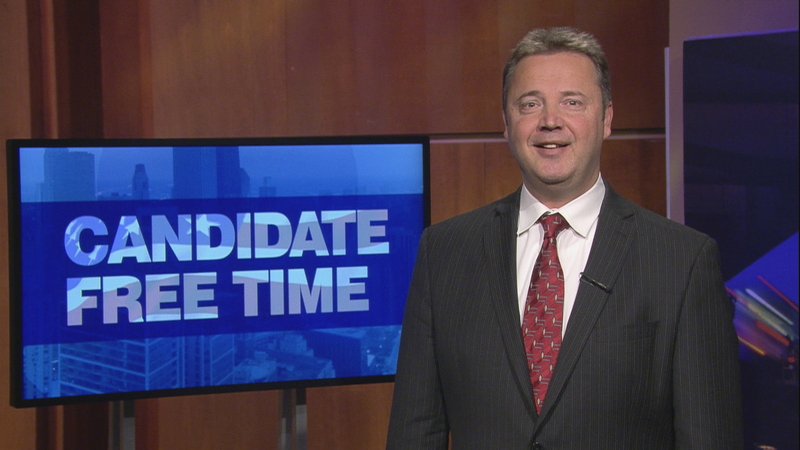 Video: Chris Hanusiak tells voters about his platform. Learn more about Candidate Free Time. Taxes, taxes and more taxes. Stop raising taxes and verify expenditures. I’m Chris Hanusiak. I was born in Poland and came to America with my parents as a child. What a lucky family we were to be in the greatest country that ever existed on this planet. After high school I joined the Navy and later attended college...and now I have three children in college. After I married my loving wife Agnes, we opened our own business dealing with cabinetry. I learned the hard way how to construct a business budget, create payrolls, plan distribution systems, negotiate with suppliers, deal with employee insurance, pay taxes and conform to our American and local laws. The many years I did these things I increasingly realized that our so-called local state, county and city legislators did few of those things, if any! I grew tired of the political hot air about "social issues" and about things that did not relate to the proper funding and functioning of government. I served for several years as a village trustee in Niles and did my part to make the town viably functional. Now I seek a seat on the County Board for District 13 which includes Niles, Evanston, New Trier, and Northfield Townships. The area has had Larry Suffredin as its County Board member since 2003. Larry splits his time on the Board with lobbying and lawyering. I decided to run against Suffredin because of his obstinacy in supporting and refusing to abolish the notorious soda tax. He never met a tax he didn’t like! I never met a tax I did. This November you have the choice of selecting me, Chris Hanusiak, for the County Board...a businessman, not a professional lobbying smoocher whose political connections make his lobbying life easy and comfortable. I have made the commitment to serve on the County Board and to fearlessly and constantly promote efficiency in government, seeking solutions to our tax problems by budget changes, not tax increases. My campaign is about honesty and truthfulness with disclosures about how we are mismanaged by professional politicians who have little experience in the actual workings of business environments.